Chotila is a worship place of Hindu religion in Surendranagar district, located near Rajkot, Gujarat. Chotila is also a small town, in the district Surendranagar.Chotila is a small town having population of around 20,000 people and is a Nagarpalika, Taluka head quarter and Legislative Assembly area. The Mataji temple is situated at the top of the Chotila hill. Mataji temples are mostly located at the top of the hills in India and the reason for this is that if you want to visit the Mata Temple, you will have to undergo some physical strain. Total footsteps were around 366. Now, after renovation,there are around 700 footsteps. Chotila is located on the Rajkot-Ahmedabad national highway no.8A.It is around 170 km. from Ahmedabad and 60 km from Rajkot. Compare to sea level Chotila is the tallest point in Saurashtra region. The height of the hill is 1,173 feet. Historically, this area is called 'Panchal'. It is the worship place for Mata Chamunda, which is one of the 64 Avatars of Shakti,others being Bahuchar Mata, Kali Mata, Ambaji Mata etc. Chamunda Mataji is the Kuldevi (family Goddess) of many Hindus. Earlier Chotila was princely state of Khachar dynasty. It was having area of 18Sq km. Chotila is also the birthplace of famous Gujarati poet Zaverchand Meghani. 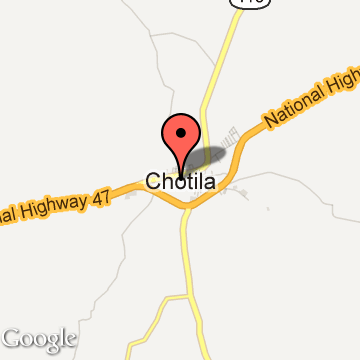 Chotila Tourism - Get all information on Chotila tourist places and sightseeing tours. Our website helps you plan your next tour and gives you great ideas on what to do, where to eat, where to stay and when to go there. We give the best information from the web to give you precise, meaningful and useful travel guide for leading places to visit in India and from across the world. Our travel information on CHOTILA tourist places, tourist attractions, major sightseeing, the best time to visit, the top places to visit in Chotila, the must-see things to see and do, maps, restaurants, hotels, nearby tourist destinations, local public information and more. 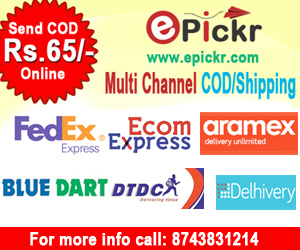 To start with check out information on how to reach Chotila.